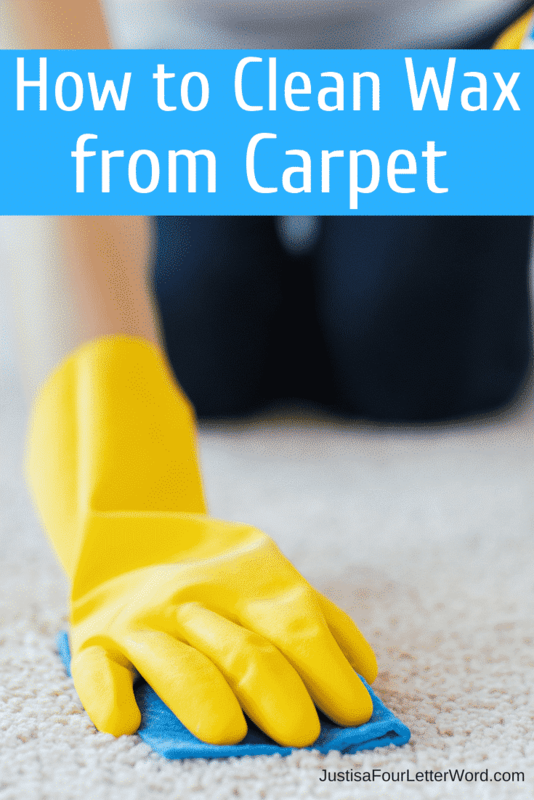 If you’ve landed here to learn How to Remove Candle Wax from Carpet, then most likely you have experienced something similar to us. 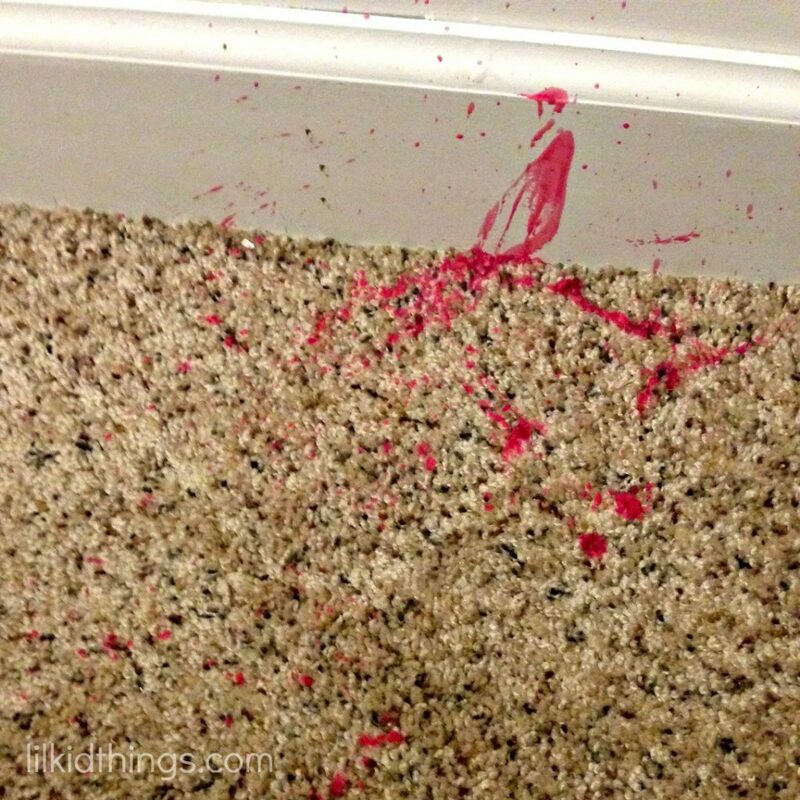 A child, animal, or clumsy parent has knocked over a candle or favorite Scentsy burner and the result is wax all over their carpet. 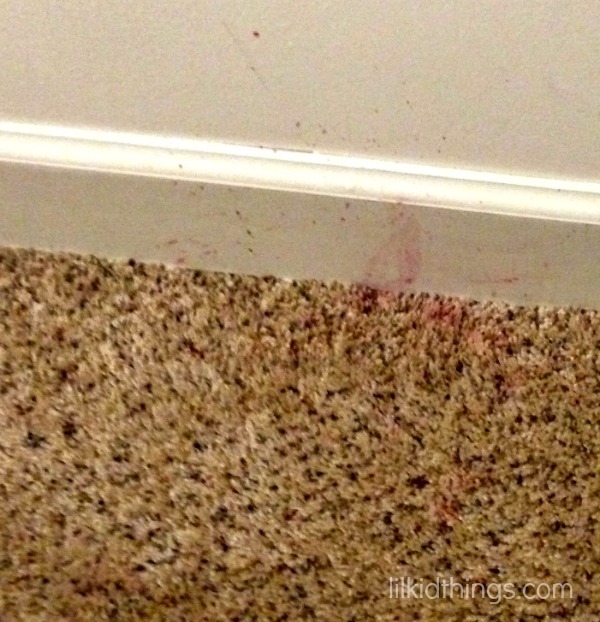 Below you’ll find easy steps to remove candle wax from carpet as well as linens. Oscar is about to be five and Calvin is two and a half and we are just facing our first major “kids happen” moment. I think that is pretty good! I mean sure we have had a candle jar broken or a dropped glass here and there. I may find a sticker on a shirt that was already washed and thankfully, Carolyn at Fennell Seeds showed me how to get sticker residue off clothes. But for the most part, we have been very fortunate. Until this week that is. 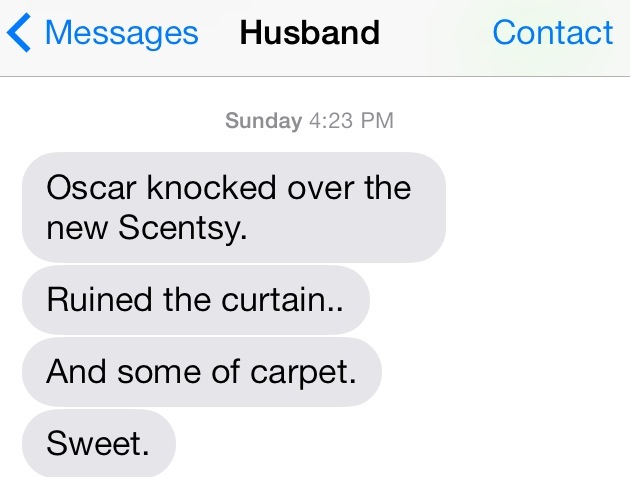 I have Scentsy wax warmers all around the house and I have for years. The kids steer clear of them really well. But this week I added a new one to Jerry’s desk in the playroom. It has a lovely cinnamon scent called Christmas Cottage and it had really just melted all the way. I was at the store when I received this text. I thought, well it can’t be THAT bad. 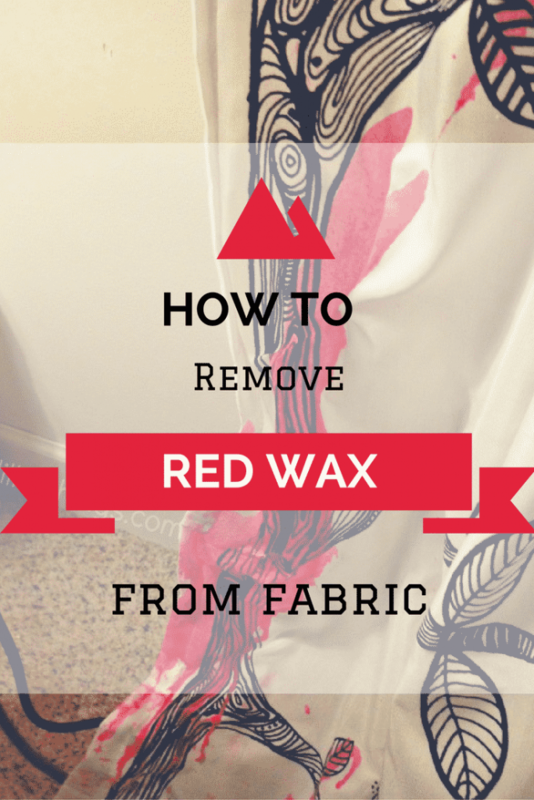 But knowing our curtains and carpet are nearly white and the wax was red…well. I knew it probably was that bad. And I was right! I was about to learn a hard lesson about how to remove wax from carpet. I knew there had to be a way to fix this so I immediately started Googling for a solution and the consensus was to use a hot iron and paper towels to melt the hardened wax right back off the curtains and carpet. It seemed too good to be true but I had to try. Of course, I made sure to take pictures along the way too in case it worked. And it did! 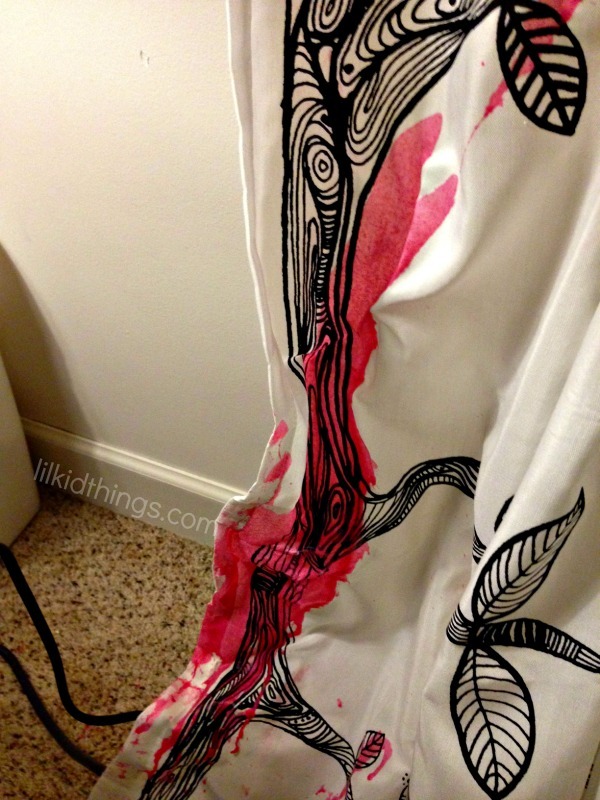 As you can imagine with bright red wax, I was left with major red stains on my white curtains. I decided to spray them with Oxi-clean and wash in hot water. It helped, but the color still wasn’t out so I sprayed again and let it sit for about 30 minutes. Then I washed again in hot water and let them air dry. I have to say, even though there is still a hint of pink, I am SHOCKED at how well the stains came out! We will just touch up the baseboards with some paint and maybe even hit the carpet with a little cleaner to get the last bits of red out. This corner of our playroom isn’t really even in use that much so I am completely satisfied with our little fix. Staying on top of chores around the house can be tough. This is especially true with little ones underfoot. Accidents like this with our Scentsy warmer happen sometimes, but they are easier to handle when you have a good routine in place. Check out our list of 10 Minute Chores that keep you on top of daily tasks. You may even be interested in how to Make Your Own Family Binder with Printables to help keep track of the little things that aren’t needed every day. If you work from home, you may need our Work at Home Sanity Savers, or even our tips for Organizing Your Thoughts in 3 Steps. These will make knowing how to remove wax from carpet easier to manage if the time comes when it happens to you! 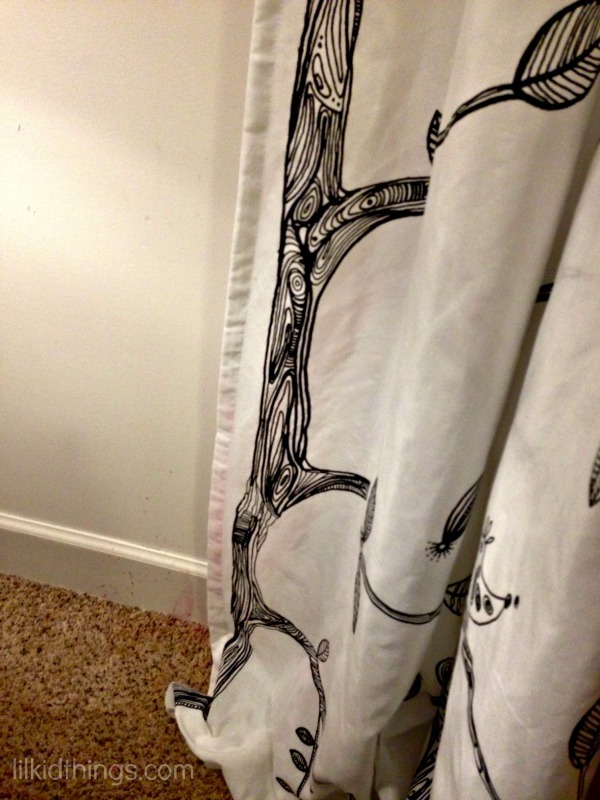 To get the stain out you can try a mixture of amonia and water (equal parts) in a spray bottle. Apply generously and then use the same ironing it out technique. This worked for some nasty puke stains I had to clean out of Jude’s carpet the other week. Just make sure you open a window cause it smells like a giant perm. Mmmm permy! I don’t think I have any ammonia. I guess I should get some! We’ve got green goop on my son’s floor that I put a toy box over when I figured I couldn’t get it out. 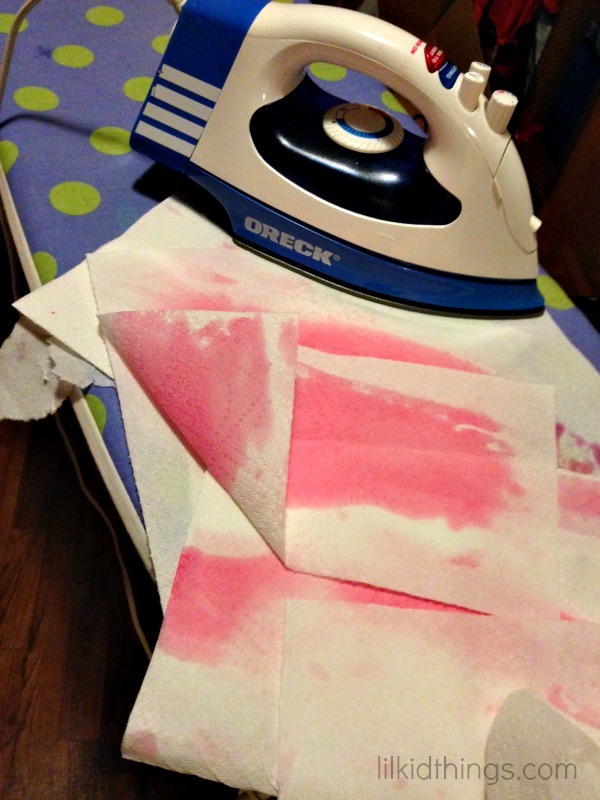 I’m going to try the iron/papertowel trick…it might not work because it’s goop, or slime, or whatever it was, but it has a wax feel so it can’t hurt to try. ‘Grats on your clean up! Thank you! I’d love to know if it works for you. Good luck! Thank you for these tips! We haven’t an accident on that level, but any time wax is spilled it’s a hassle. I pinned this so I’d have it handy. So glad you could remove it, I’ll have to remember this!